This is a nice appetizer, usually served at a “Beer Garten” in the southern part of Germany. 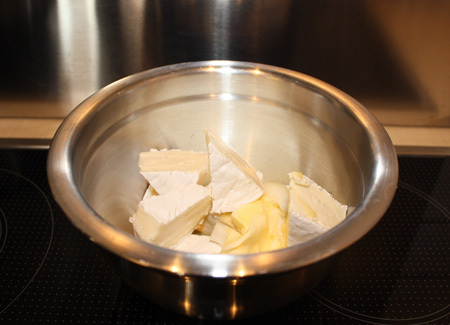 Cut the Camembert in small chunks and place in a food processor or in a bowl. Add the butter and the 1 onion in small chunks, and mix well with the food processor or with a stick mixer until a paste is formed. Add the salt, sweet paprika and finely chopped onion and mix with a spoon. Let the Camembert Spread cool in the fridge for about 1 hour. To serve, use an ice cream spoon to form it into a ball. 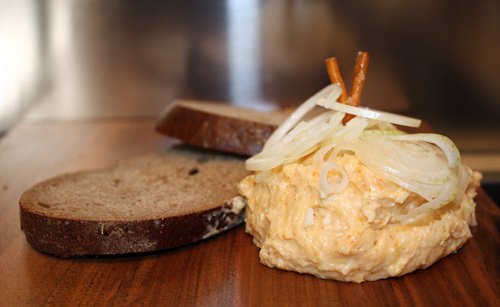 Add the sliced onions on top to decorate and serve with pretzels and dark bread.